With winter fast approaching, how can you stay healthy and active through our cold snap? Fermenting is a great way to put your health in your hands. This three-hour workshop will be a hands-on experience. 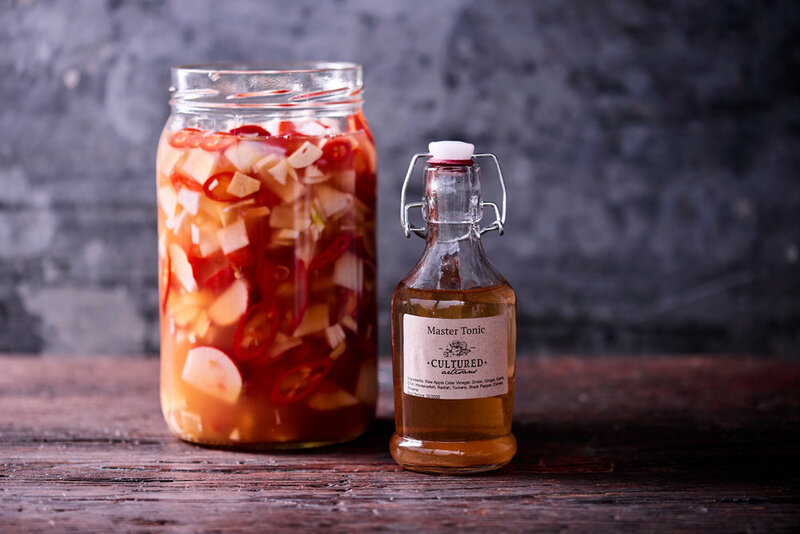 There will be taste testings and you will learn how to make both Sauerkraut and Master Tonic and take a jar of each home to nurture as your first ferments. You will also take home instructions and recipes to allow you to experiment further on your fermenting journey. Fermenting is a connective skill which allows you to preserve your abundant harvest. Sauerkraut is a great one to start your fermenting journey. It allows for personal creativity and experimentation while being simple and bursting with health benefits. Then why not add a little extra spice as a winter warmer! Master Tonic is a natural alternative to medicine; you can use to prevent or treat colds. This is a great tonic to have in your cupboard through the cooler months.